When drinking at Izakaya, (informal Japanese style bar) in Japan, sometimes sake is served in this style: server put a glass inside the Masu or sake saucer and pour until sake overflows from the glass. This serving style is called “Mokkiri” and it is said that the degree of overflowing shows the degree of the server’s generosity. This mokkiri beauty is Ms. Nozomi Ishii” who is working as an office lady usually and also active as an Akita sightseeing ambassador. ” I want to contribute to the revitalization of Akita where I was born and raised, and that is why I am active as an ambassador. Akita has lots of attractive things to boast and sake is also one of them. I definitely recommend many people to enjoy Akita’s sake which reaches the peak of brewing during the winter. At home, since my father drink sake every day, I recently start to learn some dishes which go well with sake. 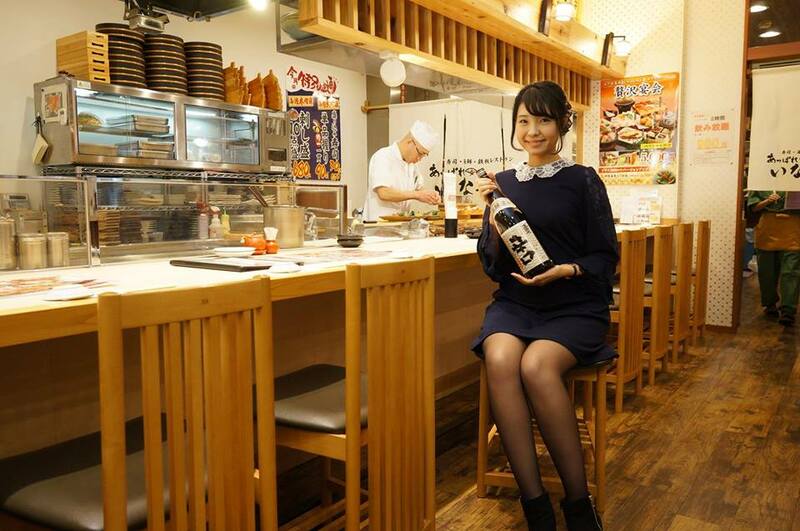 I am surprising that sake really goes well with any kinds of food!” she said. We really envy your father! !